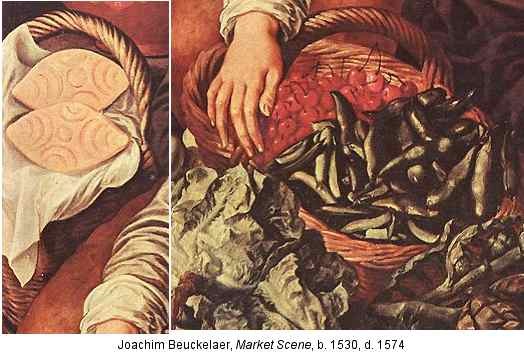 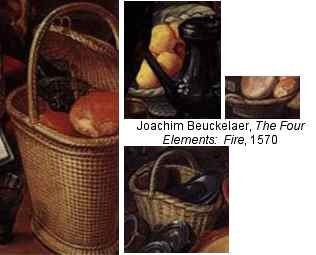 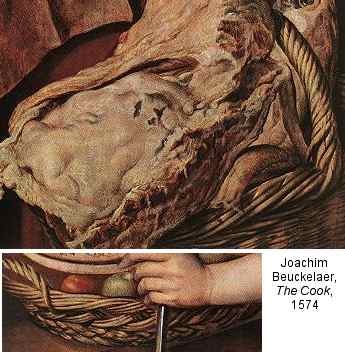 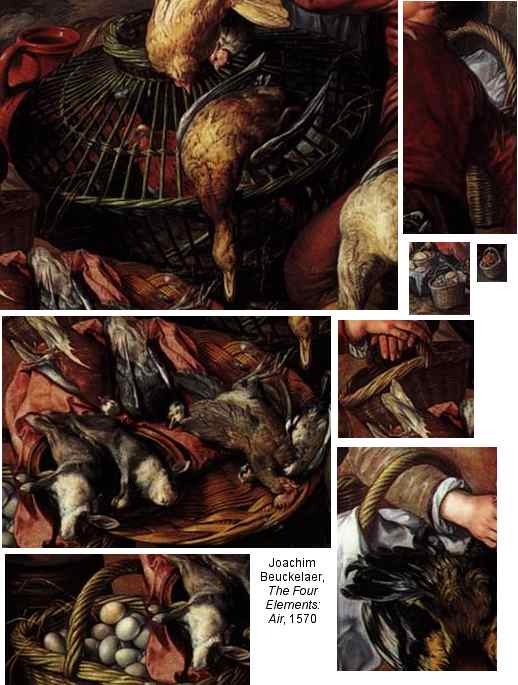 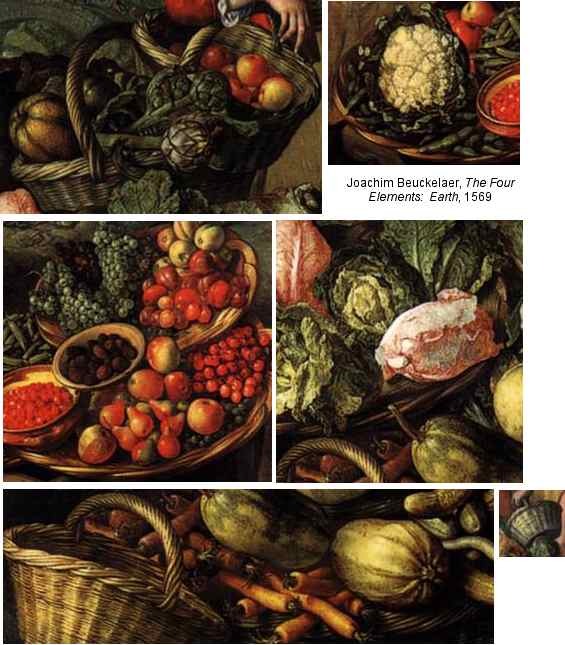 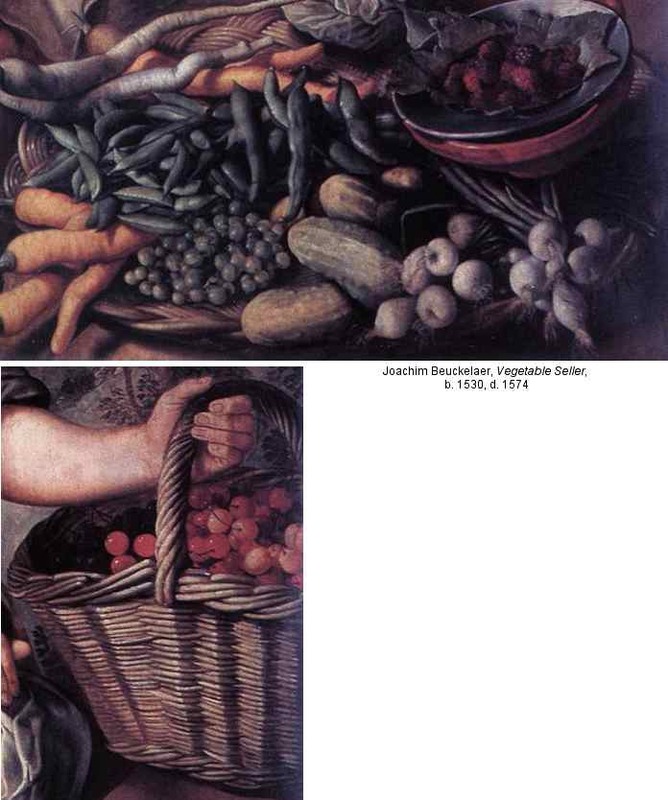 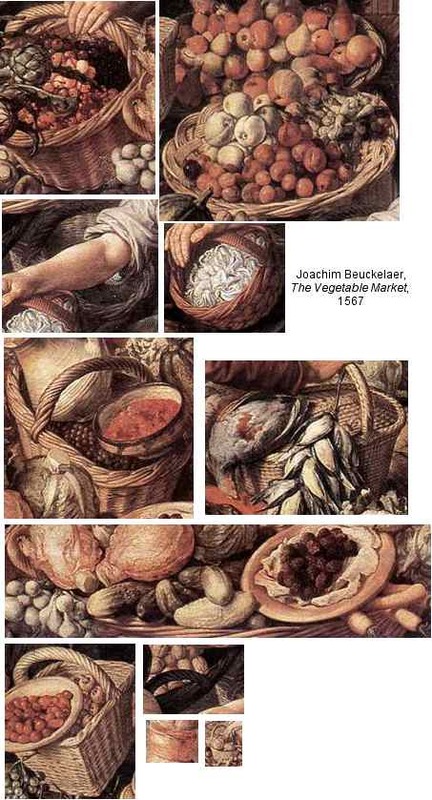 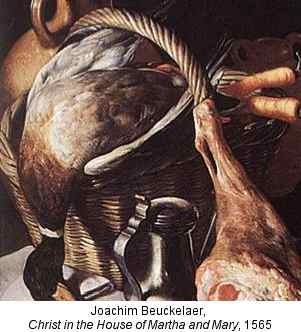 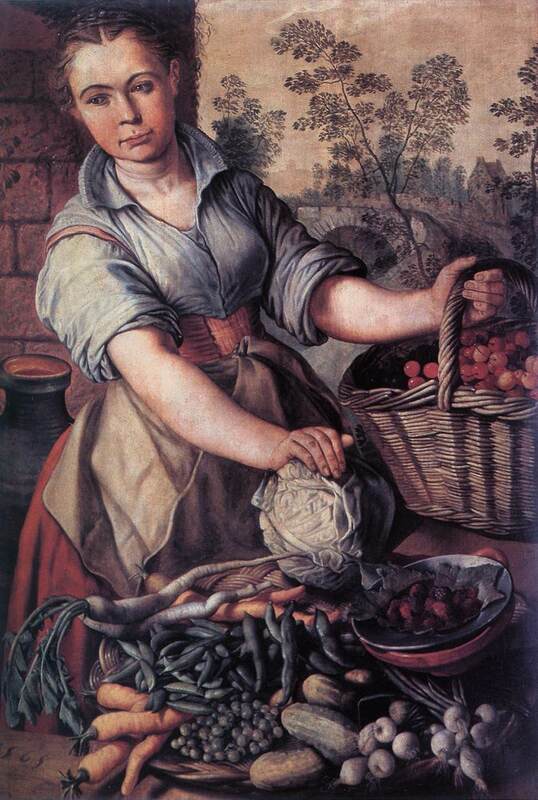 Below are baskets painted by Joachim Beuckelaer, who was born in Antwerp in 1530 and died there in 1574. 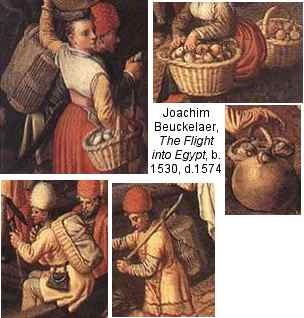 These images are offered as a quick reference for re-enactors who want to get an idea of what baskets from this period looked like, or who are seeking evidence that a particular basket type or characteristic existed in the 16th century. 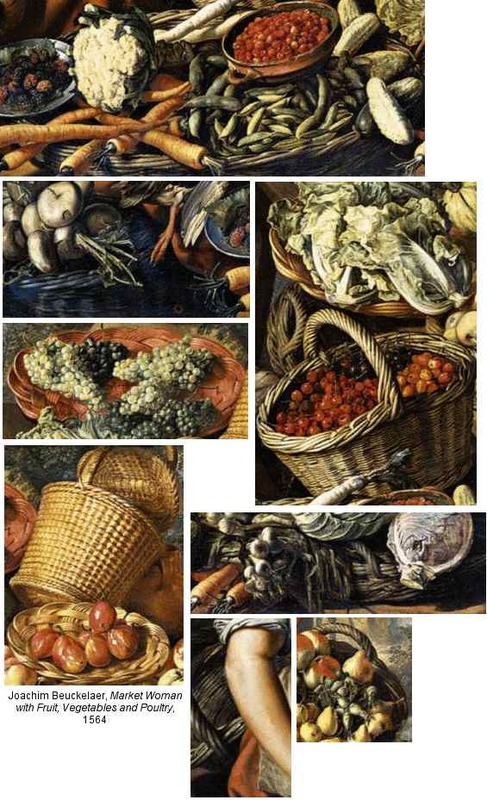 In order to minimize the storage space and bandwidth they use, I have reduced their resolution considerably. 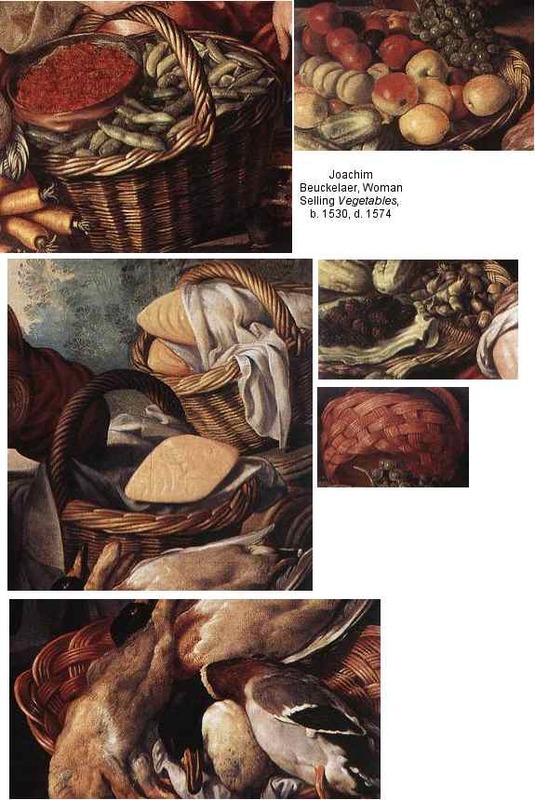 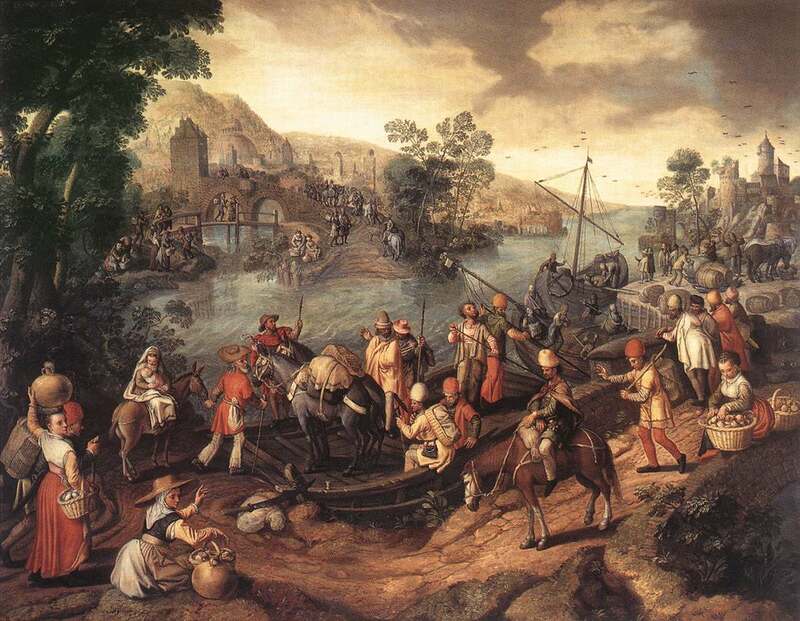 If you are interested in a particular image, I recommend you click on it or note its provenance and find a book that includes the painting from which it comes so that you may view it in its original context and in greater detail.